LG has finally unveiled the most awaited & heavily leaked smartphone of 2017, the LG G6 in Barcelona at MWC 2017. The smartphone has similar specifications as leaked various times, but LG has not announced specific pricing or availability information today. After the G5 being a fail with modular design, LG decided to stick with the current smartphone design trend i.e Metal and glass. With LG G6, you have a metal frame with chamfered edges combined with Gorilla glass. 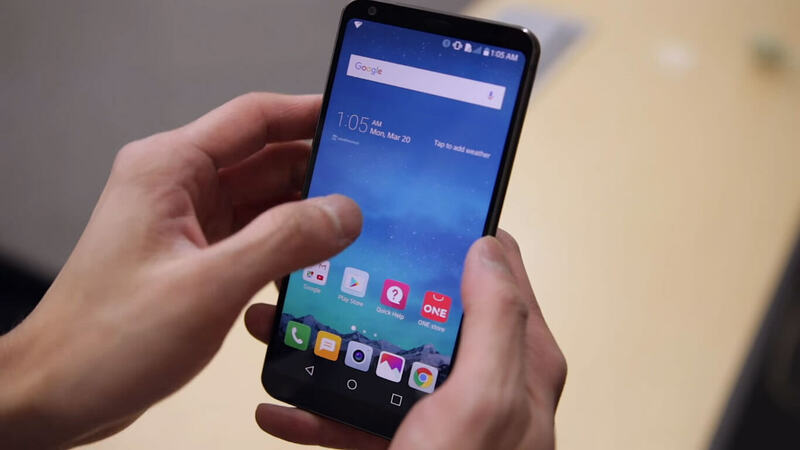 The LG G6 does have that iconic LG design like the rear mounted power key, rear camera and fingerprint placement even after tones of refinements. Due to a unibody metal design, the LG G6, doesn’t come with a removable battery but claims to have the biggest battery as compared to any other LG smartphone. Although the design hasn’t changed much & looks very much like the smartphone available in the market, LG has surely added lot of features to its Flagship device. The switch to the metal & glass design & ditching to old modular design allowed the LG G6 to have water & dust resistant, thereby allowing wireless charging. 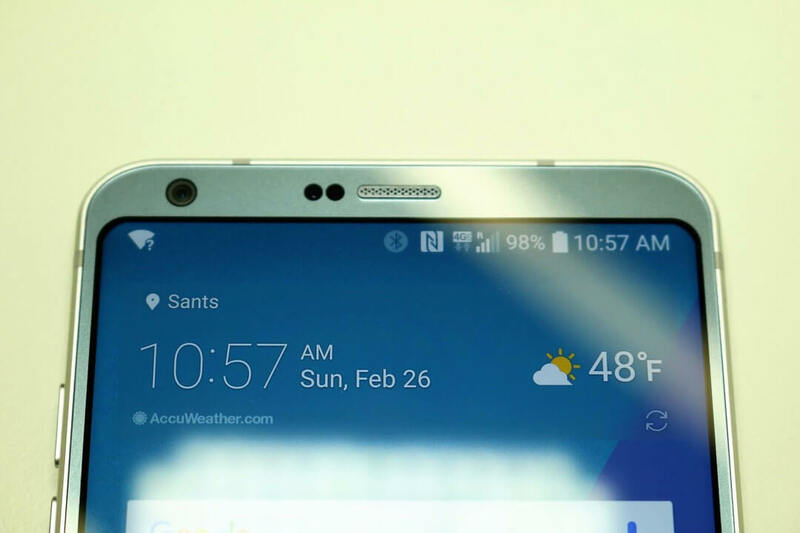 The G6’s display is rounded at the corners, allowing much better viewing experience and holding. The phone seems very comfortable to hold in one hand. The LG G6 will come in three colors – white, (titan) silver, and black. 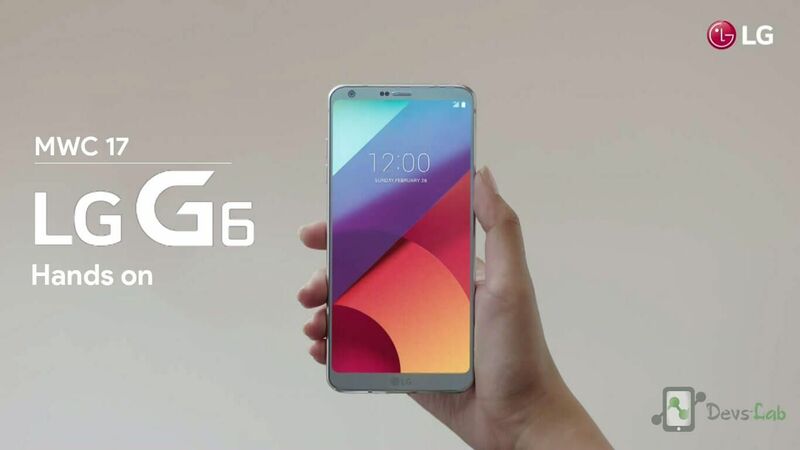 The G6’s 5.7″ QHD (2880×1440, 564PPI) LCD display – with HDR10 and Dolby Vision support – is configured in an 18:9 aspect ratio which allows better viewing experience as said by LG officials. The 18:9 aspect ratio allows users to get much more viewing space into an even smaller package making the device slightly slimmer than the outgoing G5, while the display itself grows taller. The reason for this weird aspect ratio is, it gives an aspect ration of 2:1, which means, if you divide the screen at the middle, you get 2 squares with exact same size. LG has tweaked its interface to use this feature to use the Multiwindow feature more efficiently. LG is encouraging developers to create apps which support this aspect ratio. 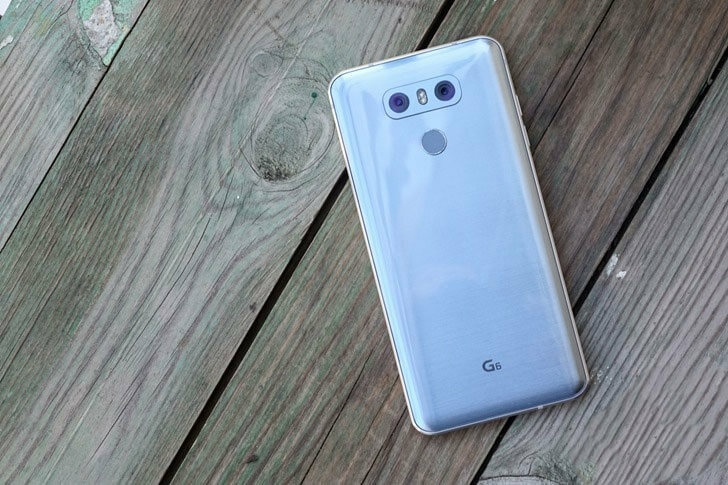 The LG G6 is a first phone to come with Dolby vision (FullVision). As per Dolby officials, Dolby Vision allows much better and clear experience & the new LG G6 design uses the Dolby vision to its fullest. 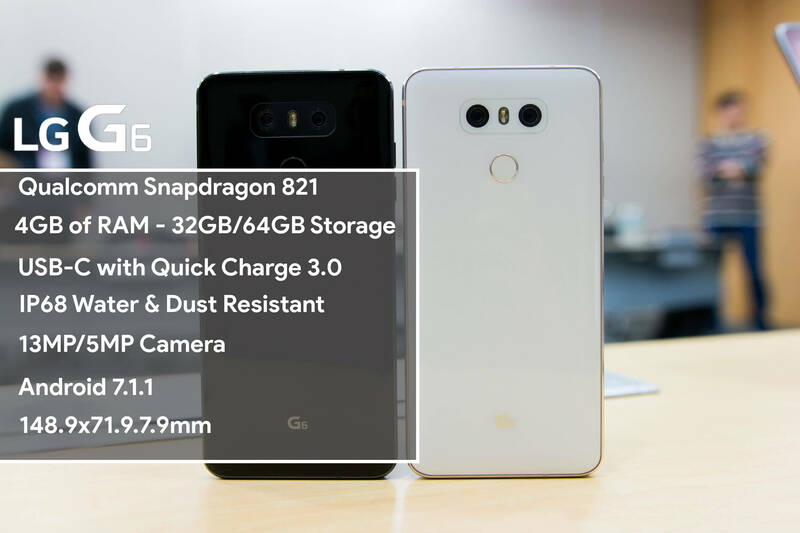 The LG G6 powers a Snapdragon 821 processor with 4GB of RAM and 32GB/64GB Internal storage. Although we didn’t expect much from the specs sheet, it’s almost the same as every other flagship devices of 2016. A Snapdragon 835 processor would have been much better but, as we know, the Galaxy S8 would be the only device that will have the SD835. 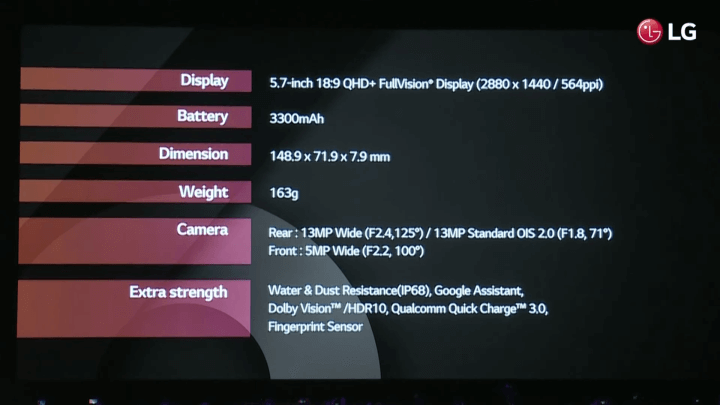 The device has a 3300mAh battery which is by far the largest battery in any LG smartphone. It comes with a USB Type-C port with Quick Charge 3.0. As claimed, the battery can easily last a single day moderate usage. The version of the LG G6 with 64GB of storage will be available in the following markets: South Korea, Asia, India, and CIS. In other regions including US and Western Europe, only the version with 32GB will be available. 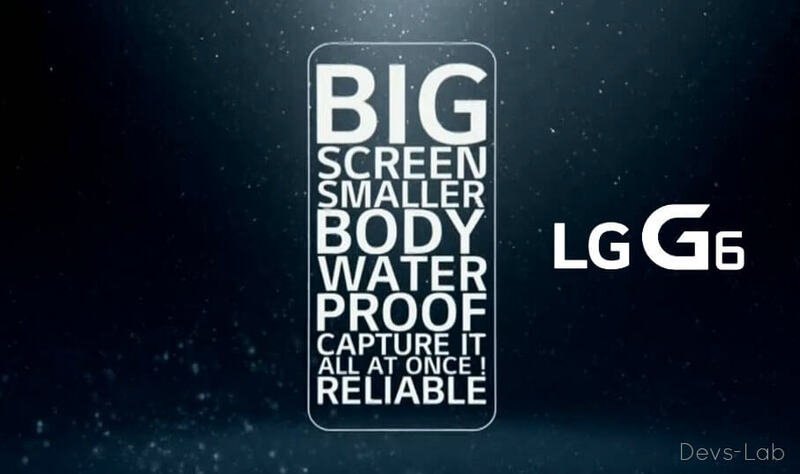 The new LG G6 comes with IP68 water and dust resistance which is makes it better than other flagship devices like OnePlus 3T & the Google Pixel. At the back, we have a fingerprint scanner dual 13MP rear cameras with 125-degree wide angle. At the front, we have 5MP 100-degree wide angle camera. The sad part is, Wireless charging on the G6 will be a US exclusive. There’s no OIS on the wide or normal angle, so software stabilization is used instead. The LG G6 has great audio quality because of the Hi-Fi Quad DAC which will only come in selected markets, including Korea. No, the US and Europe both won’t get this support. Again, just like the wireless support, LG decided to keep some bits and pieces for just certain markets. LG left the decision on which features to be included on the G6 to its regional branches, based on what customers tend to demand. That could be a good strategy if you want to minimize costs but it might frustrate few users who were looking to buy the smartphone as it’s really confusing, which feature is available in your country. LG G6 comes with Android 7.1.1 out of the box along with LG’s custom skin on top of it. You can root it using our method. Although the design is “new”, it doesn’t look any “new” & looks very much similar to the old LG interface. However, a standout software addition to the LG G6 is Google Assistant. LG G6 will be the first non-pixel device to come with Google Assistant out of the box. The LG G6 will come with apps worth around 200$ completely free, which includes the new Temple run: Lost Jungle to allows users to use the “FullVision” display to its fullest. Lastly, LG also made quite a few changes to its camera app. This is another one of LG’s apps that have been updated to take advantage of the 2:1 aspect ratio. LG has used the extra horizontal space available to offer previews of multiple shots that you’ve taken, instead of the single latest one that is available with most other camera apps. The LG G6 will first go on sale in South Korea on March 9th, with other regions to follow later. There is no Official word about when the LG G6 will be available in US (and other markets). No information about the price of the LG G6 has been released so far. Additional availability and pricing information will be announced in the following weeks. Stay tuned for future updates. Piaggio Fast Forward (PFF) created GITA-Your Smart Luggage Companion!